The reporting environment for foreign journalists is proving hostile for yet another year in China – a situation that correspondents judge to be distant from basic international standards. Intimidation of sources and local staff, growing harassment and obstruction are major challenges for journalists conducting their work. 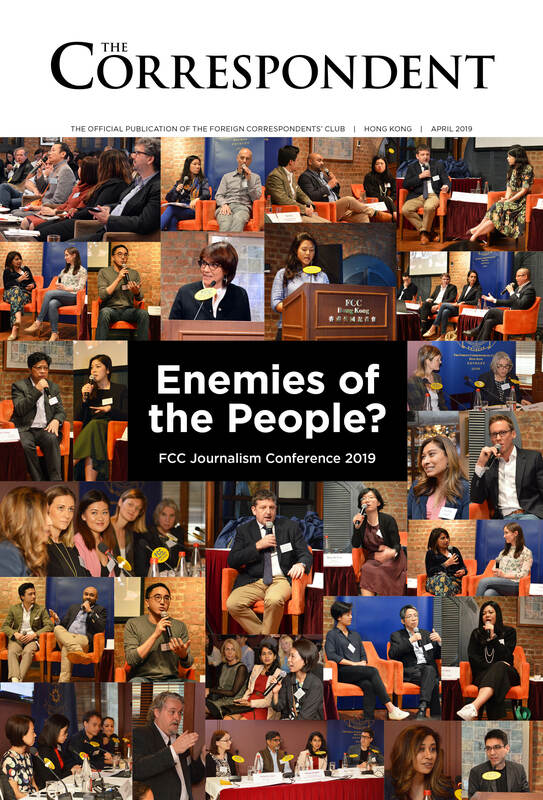 The annual Working Conditions survey conducted by the Foreign Correspondents´ Club of China finds an alarming new form of harassment against reporters, some of whom have been called into unspecified meetings by the State Security Bureau. Harassment and physical violence. Most respondents (57%) said they had been subjected to some form of interference, harassment or violence while attempting to report in China. 8% of respondents experienced manhandling or use of physical force, an increase from last year, while 26% said they had been obstructed from reporting at least once by unknown persons. One person reported the breaking of news gathering equipment. In what appears to be an added form of pressure applied on foreign correspondents, 27% of respondents said they had been asked to meet with the Ministry of State Security. Respondents said the tone of those conversations has been friendly, although the questions have in some instances been of concern. Harassment of news assistants. 33% of respondents said their news assistants had been harassed or pressured by government officials in some way, a slight increase from last year. Some correspondents reported news assistants quitting over a perceived negative reporting bias against China and the Communist Party. Harassment of sources. Official harassment of Chinese citizens who speak to foreign reporters is a violation of these sources’ constitutional rights. It also violates Chinese government regulations governing foreign journalists’ work, and Chinese officials’ public statements that sources will not be harassed. However, 26% of respondents say their sources were harassed, detained, questioned or punished at least once for speaking to them. In other cases, fear of harassment has led sources to decline interviews. Limits on travel in minority areas. The Tibet Autonomous Region remains unreachable for foreign correspondents outside formally-organised trips by the Foreign Ministry. However, respondents have also encountered troubles reporting in other sensitive border or ethnic minority areas. Of those who tried to report from Tibetan-inhabited areas, 60% reported encountering problems, while 44% had trouble in Xinjiang. Correspondents have also been told reporting was restricted or prohibited in other sensitive areas, such as the North Korea border, areas around the Tianjin explosion site, and coal mining locations where protests had taken place. Restrictions have extended to officially-sanctioned trips into areas normally open for reporting. Pressure outside China by Chinese authorities. 18% of respondents said they had seen signs of Chinese pressure on editors at their headquarters, a slight decrease from last year. Such visits have included complaints about sensitive stories, attempts to secure more “balanced” coverage and formal notes of complaint. Surveillance and censorship. Correspondents have long doubted the security of their communications and privacy where they live and work in China. This year, 85% said they worried about violations of privacy in phone calls and SMS messages, while 89% said they worried about their ability to communicate privately over the Internet, through email and Chinese social messaging applications (WeChat). Another 69% expressed concern over listening devices installed at home and at the office. My laptop was hacked by someone, and a story I was writing (about the CPC) was prefaced in a new typeface by the remark: “The glorious CPC, with you always.” – Western correspondent. Censorship of foreign media organisations continues, with authorities blocking Internet access in China to The Economist and Time following cover articles about Xi Jinping. Media outlets that continue to be blocked in China include Wall Street Journal, South China Morning Post, Bloomberg, Reuters and New York Times. Some respondents provided concerning examples of electronic intrusions.